Are you looking for a car with personality and charm? Emich Volkswagen has the perfect vehicle for you. 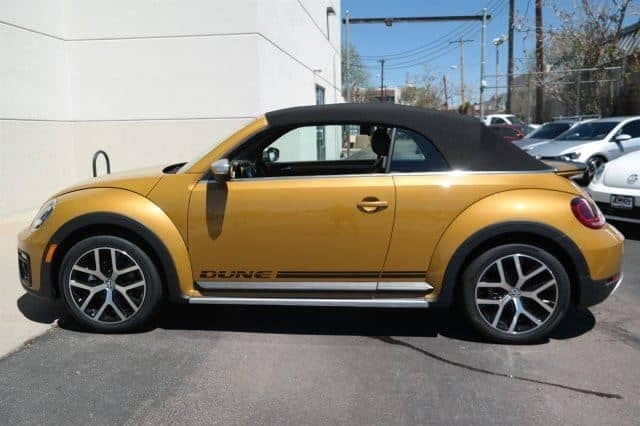 The VW Beetle is iconic and this new 2017 Volkswagen Beetle Convertible 1.8T Dune will turn heads. Powered by an efficient 1.8L Intercooled turbo I4 engine, this sporty car will spend less time at the pump, earning an estimated 24 MPG in the city and an astounding 31 MPG on the highway. Check out some of the features you will enjoy while driving this fun convertible including heated front sport seats, 6-speed TipTronic transmission with sport mode, 18-inch Canyon Alloy wheels, Bluetooth, Fender premium audio system with subwoofer, back-up camera, speed-sensing steering, Climatronic dual-zone automatic climate control, and many more! Recently reduced $1,000, this new 2017 VW Beetle is priced to sell. 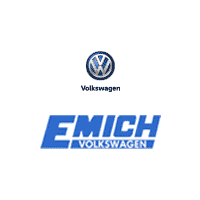 All our customers will receive a great deal with Emich Volkswagen’s No Haggle Pricing! Stop by our Denver showroom today for a test drive of this fun-to-drive convertible! I’m sorry for the late reply. We just installed a new website which pulled up some old content. We no longer have this Beetle or any other Beetle Convertibles currently.